On the hunt for the perfect baby shower gift? This collection from Coccoli is a great place to start. 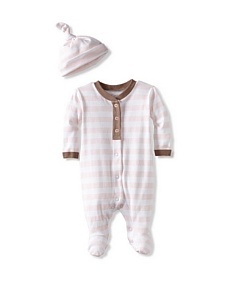 Channeling the elegance of European design, these sweet layettes, blankies, and footie and hat sets are made of the highest quality cotton to keep baby boys and girls happy and comfy all day long. Plus, at these prices you won't feel bad stocking up.